We shot this in October ,on the steps of the beautiful St.Johns Church in South West London. 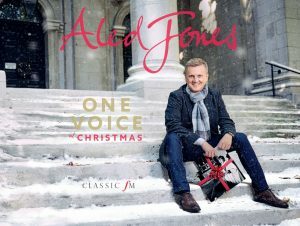 The shoot was for the cover of the Aled Jones Christmas release “One Voice At Christmas”. On the album, young Aled duets with grown up Aled, which I reckon for a singer ,must be a pretty cool thing to do. The church is situated in Smith Square next to the River Thames and takes up the whole of the middle of the square. Quite uniquely, the front of the church looks exactly like the back .